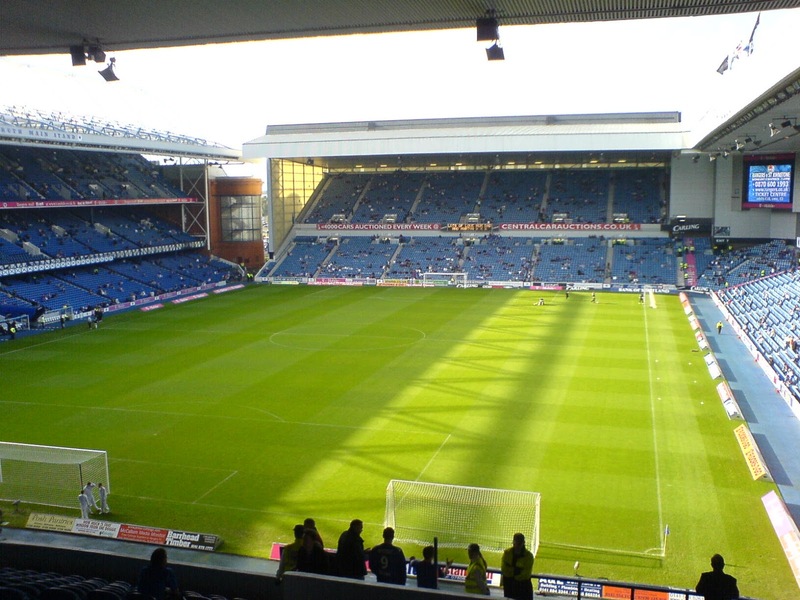 Ibrox Noise: Can Rangers survive in the Premiership? Can Rangers survive in the Premiership? As we wrote earlier this week, the Rangers are headed back to the Premiership, and the top clubs in Scottish football had best watch their backs. The Gers are wrapping up a truly dominant campaign in the Scottish Championship, boasting a 17-point lead over second-place Falkirk in the tables at the time of this writing and heading toward a 2016-17 placement in the Premiership with an eye toward sticking around for a while. But is this club built to gain ground in the Premiership, or will we see them struggle to avoid relegation right back to the Championship for a season or two? Simple trajectory would suggest that the club is built to last at the highest level once more. Betfair's sports section wrote up a profile of the team after their promotion to the second division a few seasons ago, and described them as making tentative steps toward the top flight. Now, with a few more seasons of play in the books, it's fair to say the Rangers were virtually sprinting back to the top of Scottish football. Let's not forget that in successive seasons we've seen the Rangers promoted from the third to the second division and then to the Championship. Last season saw them reach the qualifying playoffs and fall just short of what would have been considered a fairly quick climb back to the Premiership, but this season they've gotten it done. Frankly, when you lay it all out like that, there's no reason to expect this club to stop improving just because it's reached the top flight once more. Also encouraging is the club's outlook, specifically that of Mark Warburton, regarding competing in the Premiership next season. In advance of the Rangers' recent win clinching promotion, The Daily Mail's sports section posted an article including some back-and-forth conversations with Warburton in which the manager indicated that the team can compete not in general, but with Celtic at the top of the Premiership. That of course is the goal given the clubs' history and the ambitions of both fan bases, but it's nice to hear from the boss that the sights are already set on the top position of the top flight. The article acknowledged, fairly enough, that Celtic's are also in a pretty solid position have and more money to spend. But it also suggested that Warburton is already eyeing some major moves over the summer in an effort to bolster the ranks for the challenge ahead. Perhaps most significant of all, though, will be the sense of pride that's no doubt rising within the Rangers players. The run of difficulty this club has experienced in recent years still seems almost too impossible to believe given their prestigious history. And while there may be some nerves that come with competing at the top again, a team with this sort of pedigree won't squander such a long-awaited opportunity to play for titles again. Call that a sentimental argument if you will, but it may end up being a point that Bears mention. All things considered, cautious optimism is always the best practice for an excited fan base in sports. But for the reasons above, as well as the simple quality on the field, it appears the Rangers aren't just headed back to the Premiership — they're looking to go even further. The truth of whether they can compete with Celtic and European competition is their financial position. 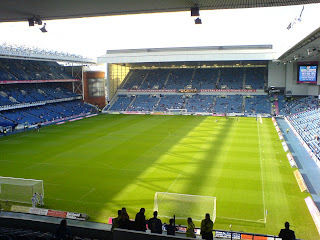 If Rangers can fill Ibrox for every game next season and surely improve their advertising and hospitality revenue it will go a very long way to bringing in the players to fulfill our ambitions. If we get a similar improvement in the next season as we have had since last season the club will be "in a good place". In other words. We better get our passports updated lads..
a big pat on the back for mr king and co for the great work done so far and to every supporter who has stood by our club, and we cant forget the hard work super ally did and i hope hes back up in the stand very soon, NO SURRENDER WATP..
D'you know its gonna be funny watchin all these tubes that had a go at us calling us Zombies etc etc. Now we are back we should carry on the way we have been over the past 4 years & just keep a steady ship & ignore the numptys, Im very hopeful for next season & I do think if we get the right personnell in we will be in the top 3 [hearts wont be able to compete with us] and 1 last thing if Dundee utd stay up wont it be good to go there & BATTER EM! all good posts lads .